I went out with my boys for dinner at Ironwood Plaza on a windy Saturday evening. Ben was still on his business trip. We usually have dinner early, like between 5 to 6PM. However, Nanzaro was out running and we waited for him to return and shower. 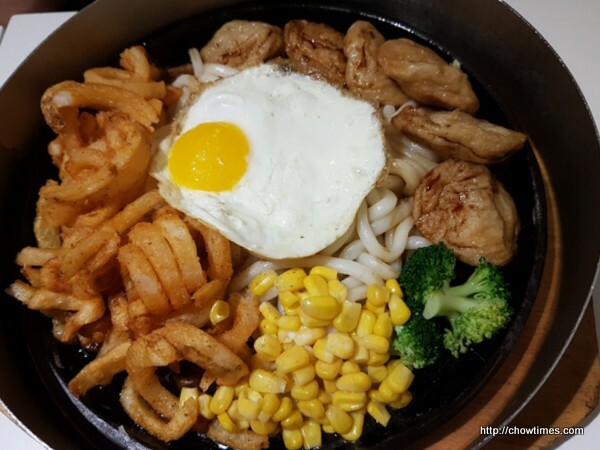 We arrived at Bubble Waffle Café close to 8:00PM and was surprised that we do not have to wait for a table. Arkensen ordered the Boneless Hainanese Chicken Rice. 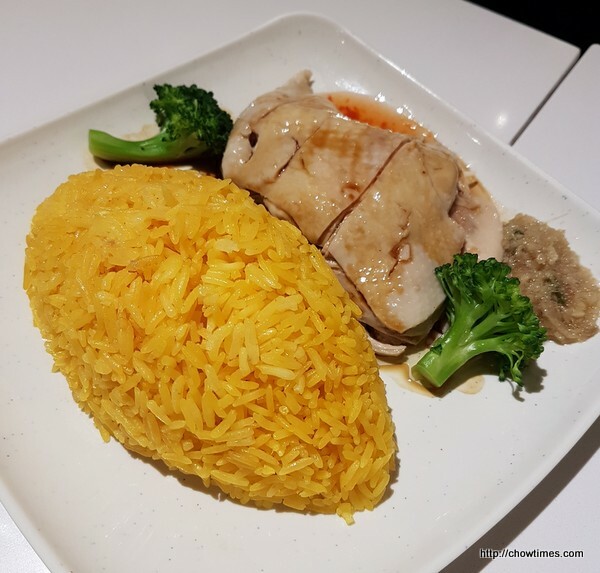 The colour of the chicken rice was just off, too orangey. Arkensen had iced coffee which comes free with the meal. The free drink only applies to coffee and milk tea. 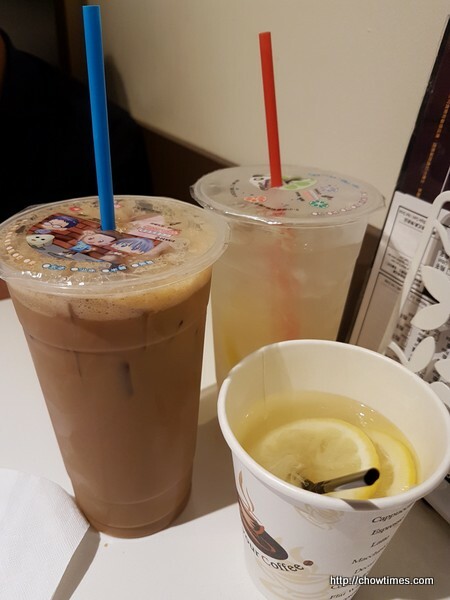 I had the hot honey lemon drink and Nanzaro had the iced version and our drink has and extra charge of 50cents. Nanzaro ordered the Fish Puff with Udon. 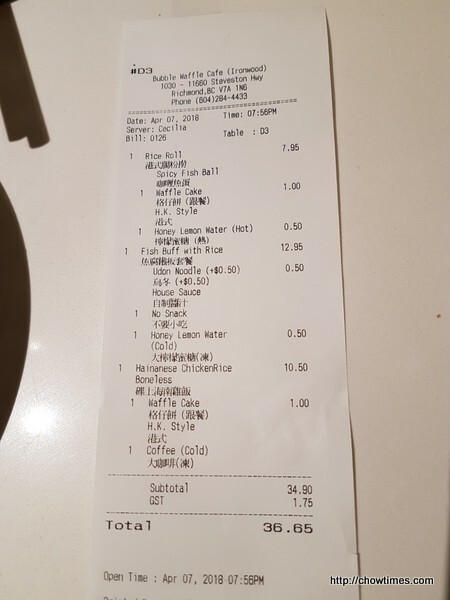 The switch from the original order of rice to udon is also charged an extra 50cents. 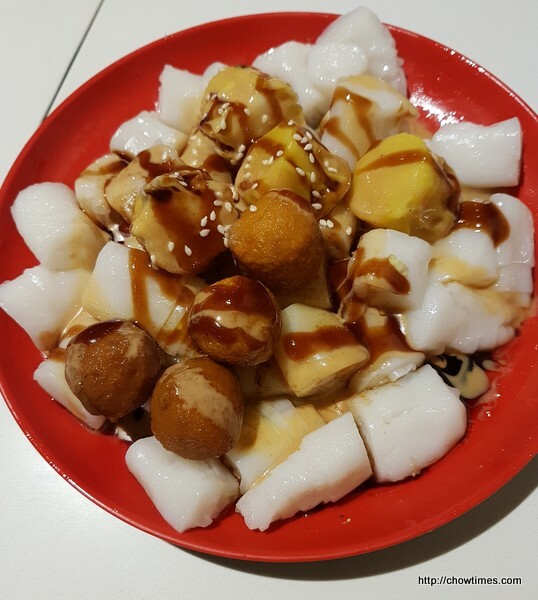 I ordered the Rice Roll with Spicy Fish Ball because I want a small meal for dinner. Even then I have to pack half of it home. Arkensen and Nanzaro ordered the Hong Kong style Waffle Cake for an extra $1.00 for their combo meal. This is the only location that I know we can have the Waffle Cake for the extra $1.00. 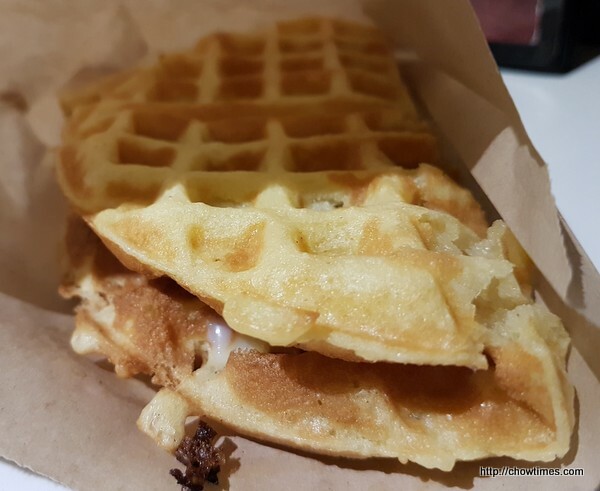 The stall in Lansdowne Mall foodcourt does not allow the $1:00 deal for Waffle Cake. It only applies to Bubble Waffle.